Our hosts very kind trying to make our stay in the apartments perfect. Although breakfast was not included they were bringing breakfast every morning. Accomodation is very clean and view is perfect. we will come next time for sure!!! Everything. Hospitality of the hosts, location, and the studio very clean, nice view from the balcony. To say "Thank you" is not enough. Can i leave 100 stars? We travel a lot but I have never met before such hospitality. Very friendly hosts. Modern, clean and well-equipped studio.The view from balcony was amazing. Thank you very much for the breakfasts and gifts before we leaving! Only people good by heart can make you feel this way. The hosts are just like that- amazing people with good heart. Thank you! Thank you! Thank you! 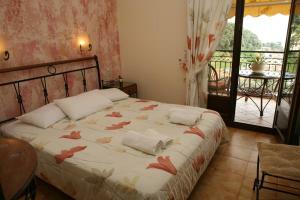 I will certainly be recommending the Studios Apartments Katsios to all our friends. Dear hosters, the holiday in your house was wonderful, the apartment was clean, comfortable, well-kept yard. We received great pleasure from living and communicating with you and we were very sad to leave your home. 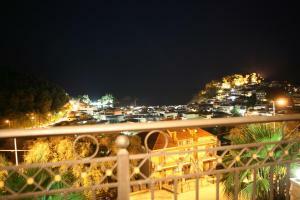 The view was amazing, it was the best place to rest in Parga. Thank you very much for the breakfasts and gifts before leaving! Our hosts were generous and considerate and we felt we were in a home from home !! Thank you Machi and Kostas ! The hosts were very welcoming! Breakfast was served every day, although we didn't pay for it. They left us every day in the refrigerator water, juices, beer, fruit. Everything was exceptional! Acommodation as home and beyond. Google maps sent me far away but the owner came and took me . Delicate and tastefull breakfast : fresh orange juice, fruits, one sandwich and the traditional frappe. Amazing raport price / quality. My wife was enchantee. Friendly and hospitable hosts. Modern, clean and well-equipped studio. Beautiful sea view. 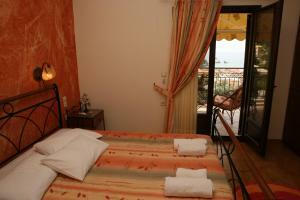 Lock in a great price for Katsios Studios – rated 9.9 by recent guests! Located in the seaside town of Parga, Katsios Studios offers self-catering units with a private balcony overlooking the picturesque bay. 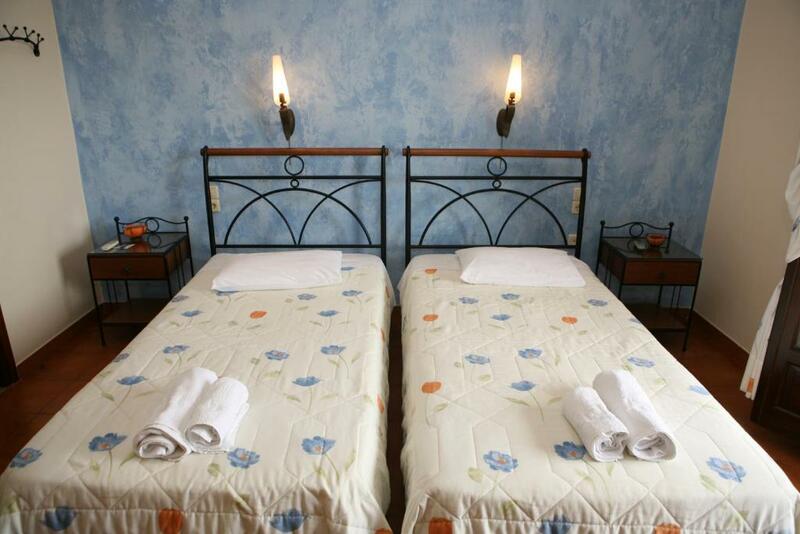 Within walking distance, you will find traditional taverns and cafes, while free Wi-Fi is provided throughout the property. 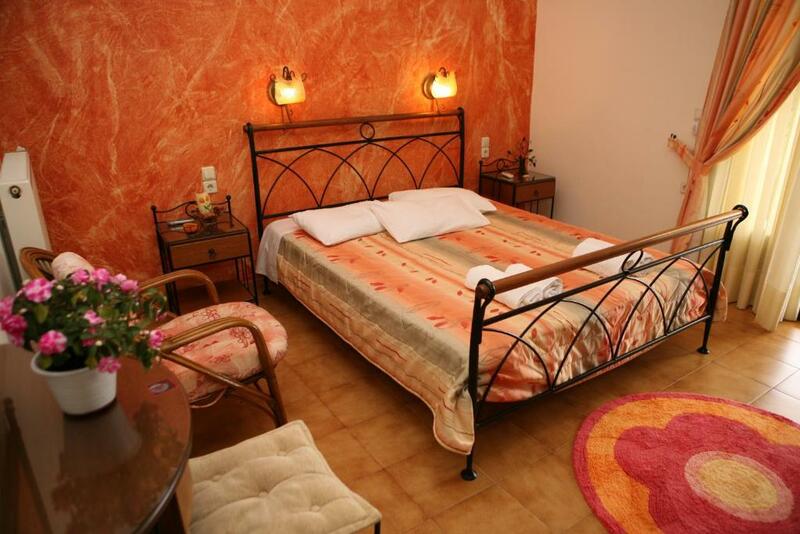 The air-conditioned Katsios studios are tastefully decorated with brightly painted walls and iron beds. They come with a well-equipped kitchenette, a TV and a seating area. Each unit has an private bathroom with bathtub or shower. 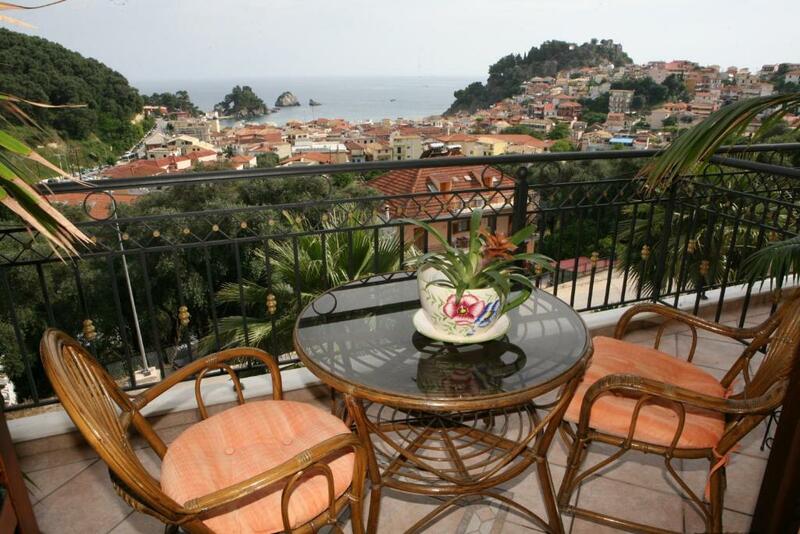 Guests can visit the historic castle of Parga or swim up to the charming islet right across the town. The village of Syvota with its many beaches is 17 mi away. Free private parking is available near the premises. 뀐 Located in the real heart of Parga, this property has an excellent location score of 9.9! 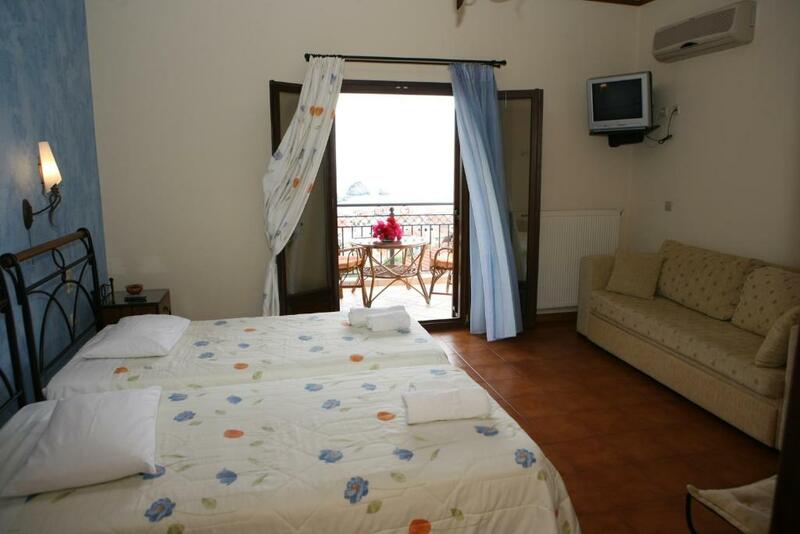 When would you like to stay at Katsios Studios? 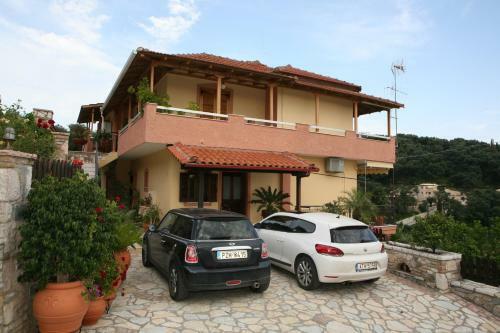 Enjoying panoramic views over the bay of Parga from its balcony, this air-conditioned studio includes a well-equipped kitchenette, seating area and a TV. Free Wi-Fi is available. House Rules Katsios Studios takes special requests – add in the next step! Absolutely nothing! We liked everything. Everything was perfect! The apartment was very clean, very cosy, decorated with good taste. You have all you need there! The view from the balcony is spectacular - like in the picture! We had many nice surprises from the hosts. The services are like in a 4-5 stars hotel. We'll stay here again next time for sure!!! For the owners: you are some of the kindest people we've ever met! Congratulations for your property and thank you so much for your hospitality! No wondering you have 10 points on Booking! The location was fantastic with a wonderfull view. The owners were very friendly and available to every need we had. Whenever in Parga I would go back again. The hospitality of the proprietors was.excellent, they couldn't do enough for us. Lovely genuine people, very rare these days.